Microsoft has confirmed that Windows 7 SP1 for manufacturers has gone golden, with the operating system's first service pack set to arrive imminently. WinRumours spotted a post by the Russian Windows Virtualization team that states version 7601.17514.win7sp1_rtm.101119-1850 is the final build and that the pack will be available very soon for OEMs. 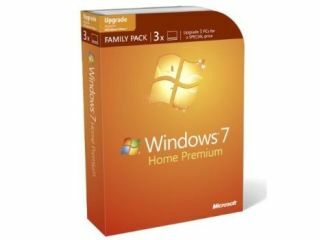 The speculation was mounting that Microsoft would produce Windows 7 SP1 RTM in January, and the arrival of a software update last week that is necessary for service pack arrival prompted further speculation. In our best (read: poor) translated Russian, the blog post says: "In addition to the announced two innovations in Service Pack 1 includes all updates previously unreleased for Hyper-V R2." "Support for new Nehalem processors and Westmere, correction of the VSS, and so on.Combo will be available tomorrow by Microsoft." So, for those awaiting the service pack – which should be a dwindling number in these auto-update times – your patience is about to be rewarded.